WritePad for iPad ~ Android Forever! Developer Quote: "WritePad lets you take notes in your own handwriting with an iPad stylus pen or even your finger. The state-of-the-art handwriting recognition software will adapt and learn your style of writing. You can use simple gestures to select text, cut, copy, paste, and insert special characters." - Create and edit text documents using the advanced handwriting recognition engine or iPad keyboard for text entry in landscape or portrait mode. - Improve productivity by utilizing inline gestures, spell checker, context analyzer, and shorthand features. 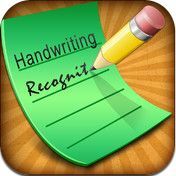 - Statistical analyzer, which improves overall handwriting recognition quality by addressing common recognition errors. 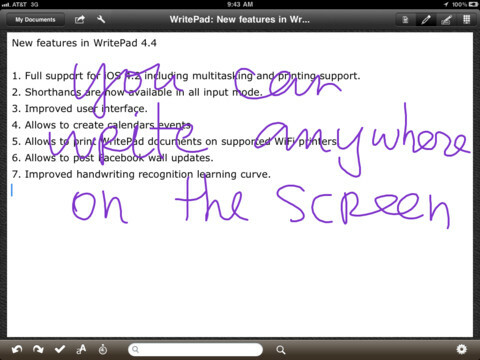 If this feature is enabled, WritePad will learn the user's own handwriting style. 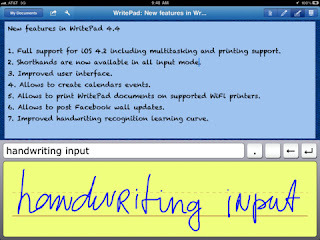 - Email, Tweet, Print, or post Facebook updates directly from WritePad. - Synchronize WritePad documents with Dropbox, Evernote, and iTunes or upload documents to Google Docs. - Translate documents to 16 supported languages using Bing Translator. 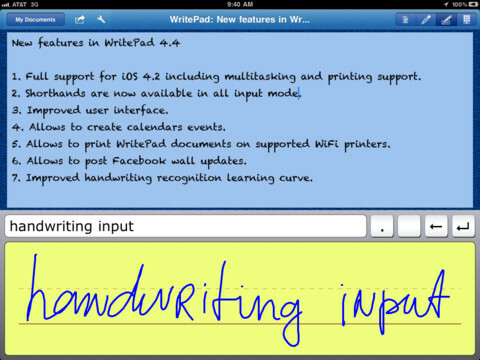 - Change WritePad's appearance by manipulating text, page, and ink colors using the customizable Styles feature.